On August 23, Mr. Wu Gang conducted the fourth issue of "Gang Ge Talk": "How does SEER import industry flow?" 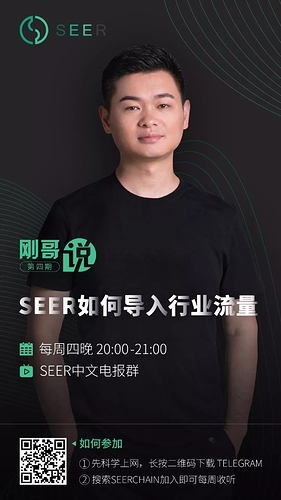 Mr. Wu Gang introduced how SEER complemented the traditional industry by predicting the market, event crowdfunding, and star token, and answered some questions raised by the community. 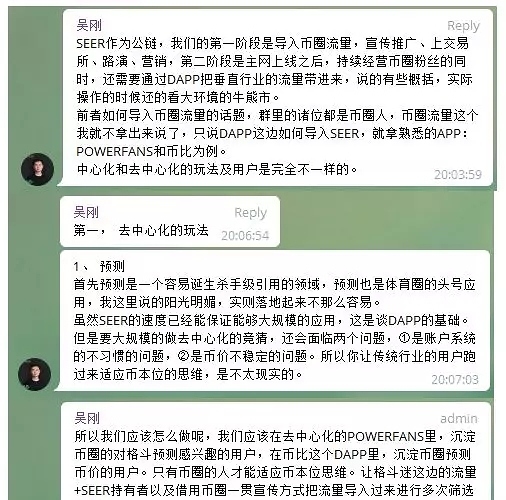 In the interaction after the event, 5 lucky fans got the gift of SEER around the same day. "Gang Ge Talk" starts at 8:00 pm every Thursday at the SEER telegram Chinese community. Welcome to https://t.me/seerchain. 2. Analysis of the safety characteristics of Fomo3D. 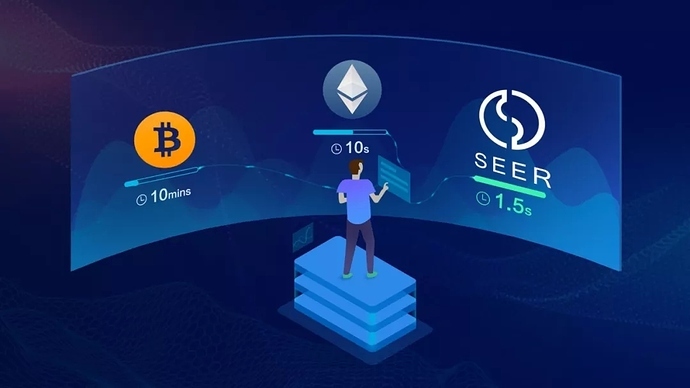 (1) The overseas expansion team of SEER English District continued to produce and design SEER promotional materials, and reached contact with two media organizations in the United States, and reached a cooperation intention. 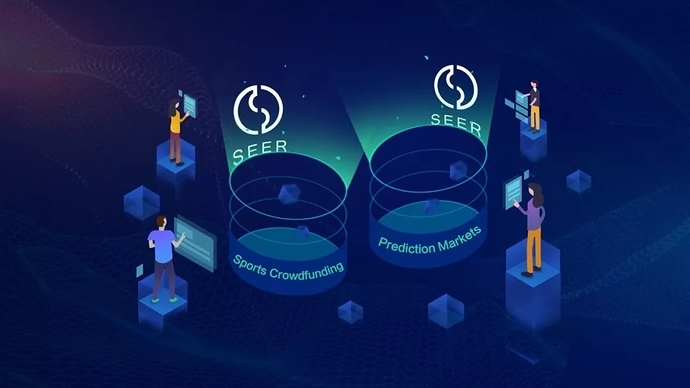 (3) From August 19th to 25th, the SEER English team translated and published the SEER 16th weekly report and the fourth phase of "Gang Ge Talk" in the developer forum and telegram English community. 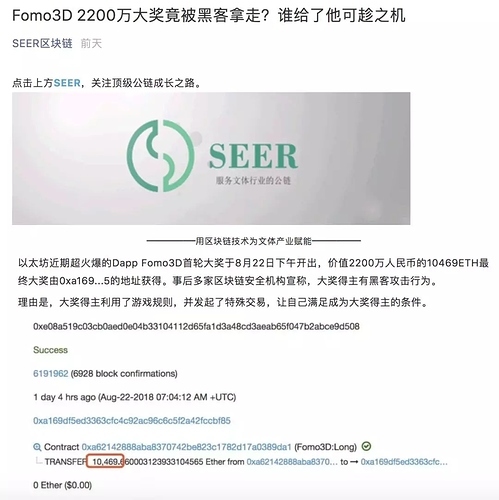 The previously untranslated SEER weekly report has also been fully translated and synchronized to the official website, twitter, facebook, steemit, bitsharestalk, medium. (4) The SEER Japanese District Development and Operation Team translated the general contents of the third and fourth issues of Gang Ge Talk, and communicated with SEER's Japanese community enthusiasts.